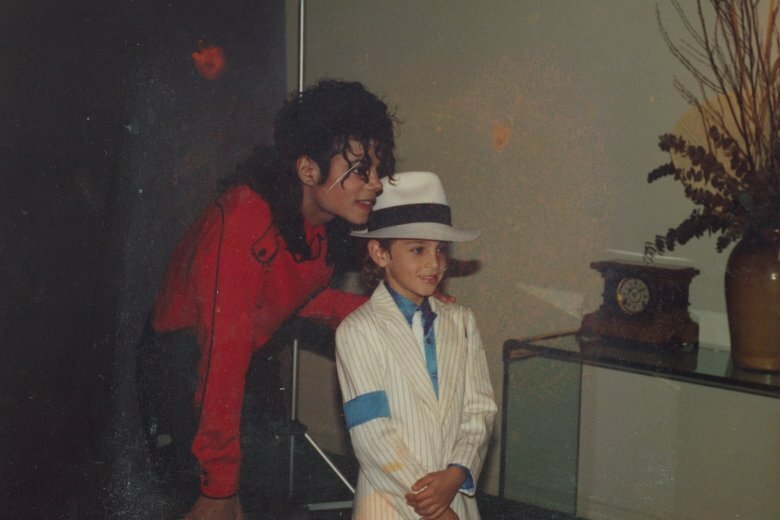 Part one of HBO's "Leaving Neverland" aired Sunday, and viewers heard graphic accounts of two men who accused Michael Jackson of sexually abusing them when they were children. Part one of HBO's "Leaving Neverland" aired Sunday, exposing viewers across the country to the graphic details and testimony of two men who accused Michael Jackson of sexually abusing them. (CNN) — Part one of HBO’s “Leaving Neverland” aired Sunday, and viewers heard graphic accounts of two men who accused Michael Jackson of sexually abusing them when they were children. The four-hour documentary examines the molestation accusations of two men — Wade Robson and James Safechuck — against Jackson, who died in 2009. Robson and Safechuck, now 41 and 37 respectively, allege the years of sexual abuse took place in the late ’80s and early ’90s. The Jackson estate called the film a “public lynching” and Jackson’s accusers “admitted liars,” in reference to sworn statements made by both Safechuck and Robson while Jackson was alive that he did not molest them. Taj Jackson, the singer’s nephew, said in a tweet Sunday that Robson and Safechuck have no credibility. Supporters of Jackson tweeted with the hashtag #MJInnocent, with some questioning the reasoning behind the use of vividly graphic details of alleged encounters between Jackson, Safechuck and Robson. Others condemned the documentary because Jackson is not alive to defend himself. “Michael Jackson was under FBI surveillance for well over a decade. They found NOTHING to substantiate claims of child abuse. He was also fully exonerated following his ’05 trial. #LeavingNeverland fails to highlight these FACTS – and MJ is no longer here to defend himself,” said TV personality Elgin Charles. Charles also questioned why the film didn’t feature Jackson’s “children, family, and/or estate” and why it was released 10 years after his death. Writer and filmmaker Gabriel Torrelles wasn’t a fan of the documentary’s storytelling technique. Part one of “Leaving Neverland” featured interviews with Robson and Safechuck along with the families of both men. “From a storytelling standpoint #LeavingNeverland is a very bad documentary. I’m up to listen the stories of survivors of any abuse. I’m on their side always, but this being about the greatest megastar in the world and a dead person, I expected a lot more of facts and research,” Torrelles tweeted. However, there were viewers who said the accusations against Jackson were unforgivable. “They were innocent little kids. They knew no better. This man must be removed from any/all pedestals, and put in his proper place in history: a megastar who abused his power to molest little boys. Unforgivable. #LeavingNeverland,” said director Morgan J. Freeman. Director Ben Rock said the documentary deepened his already negative feelings toward Jackson. “#LeavingNeverland has officially turned my antipathy to Michael Jackson into actual nausea. What a grotesque creep,” he tweeted. Some even said they wouldn’t listen to his music again. “Will never listen to a Michael Jackson song again. This documentary is shockingly, sickeningly believable. Totally disgusting,” said sportswriter Jason La Canfora. Cinematographer Rick Kosick questioned why the parents couldn’t see the warning signs. “I just watched part one of #LeavingNeverland on @HBO and I have a question. How come these parents couldn’t read the warnings signs written all over the place that said. Stay away, this dude is a total creep..,” he tweeted. Actor and producer Luke Barnett commented on the demeanor of the parents during their interviews. “I’m only 45 minutes in but am genuinely disturbed at how smiley and laughy the parents in #LeavingNeverland are while talking about the houses and vacations where their kids were molested,” he tweeted. There were also those who spoke about the deeper issues the documentary brought up, like the credibility of sexual assault victims. Activist and author Blair Imani said on Twitter that she would not watch the film because it was triggering for her, but stressed the importance of believing survivors of abuse. Activist Kenidra Woods said she also believed the survivors. “Stories came out on this years ago but people chose to ignore it because he’s Michael Jackson. Well, I believe survivors. Every sexual predator should be held accountable regardless of who they are. I pray for the healing of every young boy he’s victimized.#LeavingNeverland,” she tweeted. Actress Amber Tamblyn said the documentary made her think about the exploitation of children. “As a former child actress, I can’t help but watch this documentary and think about how wrong it is for children to be put in the position of performing for the soul purpose of pleasing adults. It’s such a slippery, dangerous, often abusive slope. #LeavingNeverland,” Tamblyn tweeted.